It is quite rare to come across a brand of e-juice that is best enjoyed while wearing spandex and listening to hair metal, but Motley Brew Vape Juices are just that perfect brand. The brand does a lot to stand out among its contemporaries. 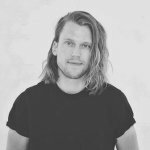 The standpoints are the rock n roll style and other rock-related things, mentioning names of bands and songs, innovative labels and logos, as well as the six unique flavors, the product uniquely, stands out. The Motley Brew Vape is the super-premium e-liquid that is very special and separates itself from the everyday e-liquids in several ways. 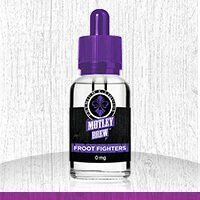 What Really Sets Motley Brew Vape Juices Apart? The flavored blend in any of the six e-liquids is really strong yet smooth, and the flavor ingredients are uniquely developed to be inhaled. The flavors are approved by the GRAS while the product itself is made from an FDA-approved laboratory. In short, they’re as safe as they get. The VG component is made with soy-based glycerin, which offers a great amount of vapor while at the same time providing high levels of flavor from the PG used. Each of the six flavors comes in a beautiful, sealed and child-friendly bottle with a purple cap. Each bottle clearly labels vital information about the e-juice including the nicotine level, the name of the flavor, all the ingredients used, and different colors for each flavor, as well as all the expected warning signs. You can choose nicotine level between 0mg/ml to 18mg/ml. The product is diacetyl-free and made of kosher-grade ingredients – yet are as affordable as e-juices by any other top-quality brand. Each 30ml bottle of Motley Brew Vape Juices will cost you $21.99. Most of the e-liquids are 50:50 PG/VG blends. So, you’ll get a mix of throat hit as well as thick flavor. All in all, the look of the product is great, the bottles are made of high-quality raw materials, and flavor is marvelous! The great variety in the levels of nicotine allows the user to gradually reduce nicotine intake and ideally bring it down to 0 mg/ml, and lead a nicotine-free life, enjoying flavorful vapor. So, if you’re wondering why they don’t offer 24 mg/ml nicotine strength like some other e-juice makers, the answer is that with the extremely powerful e-cigs and vape mods, you don’t even need that amount of nicotine. This e-liquid has a strong whiskey flavor with some elements of bitterness though expected but is then modulated by the sweetness of raw sugarcane as well as notes of aromatic citrus which assist in balancing the strong whiskey flavor. So, this is just perfect for you if you admire whiskey sour. You will not get drunk using this flavor because there’s no alcohol content in this blend. However, you can enjoy it with a cocktail or cold beer. The sweet red and green apple blend in this juice makes it awesome and a masterpiece to vape. You’ll experience a wonderful taste of the brown sugar and Tahitian vanilla custard when you exhale. Not left out is the additional flavor of sweetness provided by the salted caramel sugar making it a bit psychedelic. This juice has a lot going on. This is a perfect choice if you like apples and dessert vapes. Blended with a delectable sweet and juicy candied melon together with honeydew, cantaloupe, chilled watermelon and other undisclosed powerful ingredients added for good measure; this juice is a nice fruity vape. This fruity medley has a mystery component that can only be unraveled when you taste it. So, go ahead and try it especially if you are a fan of fruity juices. Want to start your day with a cup of coffee? This blend is perfect for you! This flavor has a slight hint of tobacco, a rich butterscotch, and good European espresso taste, all blended together with vanilla bean cream to give you that perfect indulgent flavor. This e-liquid is more of coffee than tobacco. The tobacco just contributes to the overall richness of the coffee blend. The taste here is subjective! This is a mentholated e-juice made up of the best pears on earth and then perfectly mixed with a silky French vanilla bean cream. The end-result is the vape that gives a hint of that vanilla taste which works wonderfully well with pears. If you like minty pears, roses, and even guns, then look no further for Pearidise City in the answer. This e-juice produces a rich blueberry flavor hidden in a cake flavor that can drive you crazy. Vaping with this flavor will allow you to keep the flavor coming as you exhale slowly, allowing the rich flavor to make a slow pass along the right taste buds. This is really a dessert vape that satisfies without leaving you with the feeling that you vaped something too sweet. You can use it on a dripper with 0.5-ohm build or lower in order to obtain that warm cake effect. The Motley Brew Vape Juices come in six uniquely-crafted flavors with modern packaging and a pure rock-n-roll attitude, but their taste is smooth and fulfilling. Their descriptions of the flavors are specific and straight to point. You’ll thoroughly enjoy the entire line of Motley Brew e-juice without having to worry about what’s inside the juice. We highly recommend you to give these e-juices a try, and you won’t regret it. To get the best experience with these e-juices, make sure that you have the best electronic cigarette! Are the e-juices by the German manufacturer up to snuff and worth the price? Let’s explore which of XEO e-liquid flavors taste the best. Vape Craft, aka Alternate Cig, is one of the popular American e-liquid manufacturing companies that offers a variety of extremely affordable vape juices. I love this e juice but am having a difficult time getting it. Direct vapor is always out of stock of the nicotine strength I use and Motley Brew`s website does not answer email, and their phone is not working. I have no idea what is going on and why it is not available.